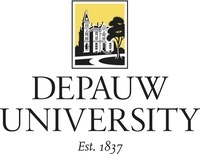 DePauw University in Greencastle, Indiana, US, is a private, national liberal arts college and School of Music with an enrollment of approximately 2,400 students. The school has a Methodist heritage and was originally known as Indiana Asbury University. DePauw is a member of both the Great Lakes Colleges Association and the North Coast Athletic Conference. The Society of Professional Journalists was founded at DePauw. DePauw is home to both the first modern-day sorority and the two longest continuously-running fraternities in the world. Indiana Asbury University was founded in 1837 in Greencastle, Indiana, and was named after Francis Asbury, the first American bishop of the Methodist Episcopal Church. The people of Greencastle raised $25,000, equivalent to around $500,000 in 2007 terms, to entice the Methodists to found the college in Greencastle, which was little more than a village at the time. It was originally established as an all men's school, but began admitting women in 1867. In 1884 Indiana Asbury University changed its name to DePauw University in honor of Washington C. DePauw, who made a sequence of substantial donations throughout the 1870s, which culminated in his largest single donation that established the School of Music during 1884. Before his death in 1887, Mr. DePauw donated over $600,000 to Indiana Asbury, equal to around $13 million in 2007. In 2002, the school received the largest-ever gift to a liberal arts college, $128 million by the Holton family. Sigma Delta Chi, known today as the Society of Professional Journalists, was founded at the university in 1909 by a group of student journalists, including Eugene C. Pulliam. The world's first Greek-letter sorority, Kappa Alpha Theta, was also founded at DePauw in 1870. DePauw is home to the two longest continually running fraternity chapters in the world, the Delta Chapter of Beta Theta Pi and the Lambda Chapter of Phi Gamma Delta. DePauw is home to Indiana's first chapter of Phi Beta Kappa.